Each week during #crossiscoming season, R&R is here to keep you updated on what riders have been up to during the summer months. 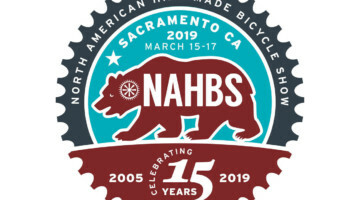 In today’s edition, we wrap up mountain bike nationals and take a look at some riders who will be wearing new jerseys this upcoming season. Earlier this summer, I chatted with Caleb Swartz about his win at the Angel Fire UCI mountain bike race. 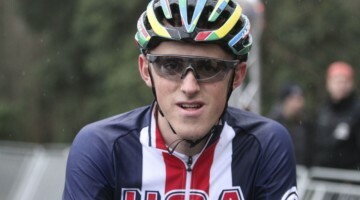 In that interview, Swartz said he was hoping for a good result at Mountain Bike Nationals in Snowshoe, West Virginia. At Thursday’s Junior 17-18 Short Track Nationals Swartz got the good result he was looking for—and then some— by winning the Stars-and-Stripes jersey on the short track course. On a warm day before the rains came over the weekend, Swartz out dueled another rider in the familiar seven-lap format to take home the solo victory. Swartz also took fourth in Saturday’s cross country race. 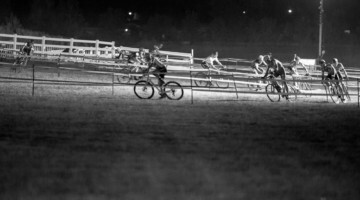 As previously mentioned, rains came over the weekend and the races had an almost, dare I say, cyclocross feel to them. In addition to being deft on the bike, Swartz is also a bit of a bike wordsmith. 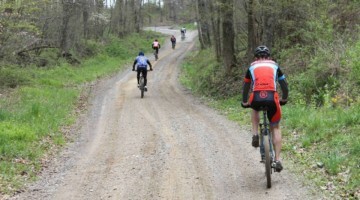 Check out calebcycling.blogspot.com for chronicles of his bike racing experiences. 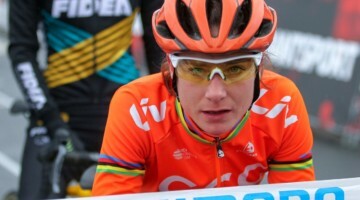 If you want your daughter to grow up to be a U.S. cyclocross star, you could do a lot worse than giving her a name that shares “Katie” as a nickname. Katie Compton has dominated U.S. ’cross for 13 years, Kaitie Antonneau is on the cusp of winning a national championship and about ten years behind her, Katie Clouse has been a dominant force across all disciplines. 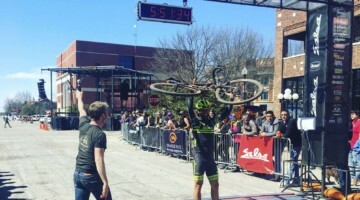 Just a few weeks ago, Clouse finished second in the Women’s Junior 15-16 road race and criterium in Louisville and this weekend, she was back for Mountain Bike Nationals in Snoeshoe. The country roads that took Clouse to West Virginia were good to the young star. She took home the Stars-and-Stripes jersey in both the Women’s 11-16 short track and Women’s 15-16 cross country races. 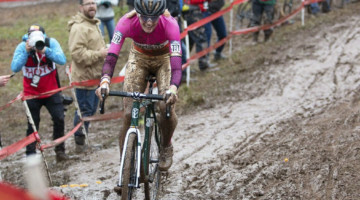 She also got to experience some of the cyclocross vibe in Saturday’s muddy conditions. Unofficially, Clouse’s two Stars-and-Stripes jerseys are the 20th and 21st of her Junior career (please correct me if I am wrong). With two years of Junior 17-18 racing ahead of her, her Stars-and-Stripes closet seems destined to get a bit more crowded. Hannah Finchamp is another young rider who has been making her mark on the mountain bike scene this summer. Finchamp has headed over to Europe for UCI Mountain Bike World Cups, and on Sunday, she lined up for the Women’s U23 cross country race. Finchamp finished second behind Haley Batten to add to her Cyclocross Nationals Collegiate gold and U23 bronze from earlier this year. Finchamp is also a young cycling scribe. You can check our her blog at hannahfinchamp.com. 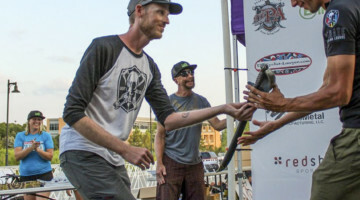 Todd Wells has been busy this month, grabbing a second-place finish at the Crusher in the Tushar in Utah and a second at the Eastern Grind US Cup mountain bike race in Vermont. It is debatable how well the Crusher prepares a rider for Cross Country Nationals, but all told, it appeared Wells was on good form heading into Sunday’s race in West Virginia. Wells led a three-cyclocross-rider contingent in the top ten by taking fourth place on the soggy, rooty course. Although Saturday was the big rain day at Snowshoe, the rains still left the course soggy and looking like it belonged in Belgium in late December. Wells also took fourth in the short track race earlier in the weekend. Stephen Hyde finished eighth in his first Mountain Bike Nationals race and Troy Wells took tenth. Kerry Werner finished just outside the top ten in 11th. 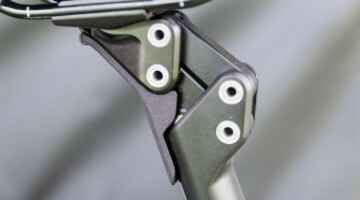 Todd Wells is also a man of words about bikes, and his race reports are worth checking out at toddwells.com. 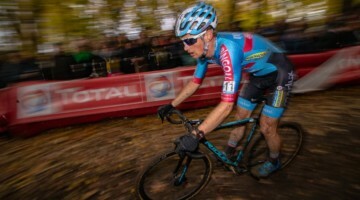 Kevin Pauwels has rightfully earned the reputation as one of the most consistent riders in the international cyclocross peloton. With Wout Van Aert and Mathieu van der Poel duking it out at the front of many of the races last season, Pauwels calmly finished second through fourth 20 times last season. 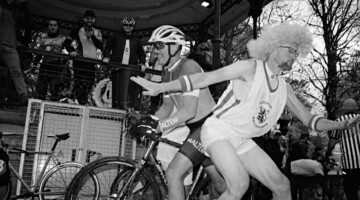 After a five-race run in December where he finished third in every race, members of the cyclocross commentariat on Twitter dubbed Pauwels’ third position “Keventh.” And true to form, the senior statesmen of the Belgian ’cross contingent finished in third, or Keventh, at the World Championships. 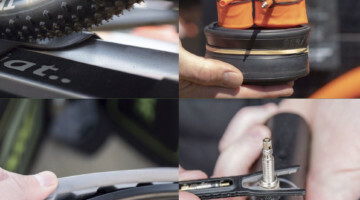 When Kevin Pauwels toed the line at the Belgian Mountain Bike National Championships over the weekend, one could only wonder if his third-place magic/curse extends to the fat tires as well. The answer, it turns out, is yes. Pauwels took third to add another Keventh-place finish to his list of palmares. 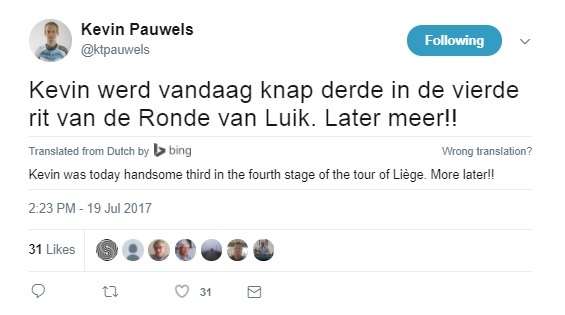 And as if on cue to add to the Legend of Keventh, Pauwels also took a handsome third in a stage of the Tour of Liege road race. 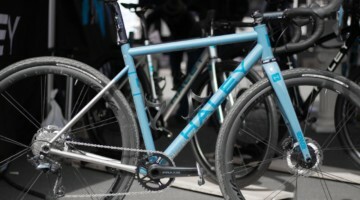 Other familiar cyclocross names also raced at the Tour of Liege (Ronde van Luik). 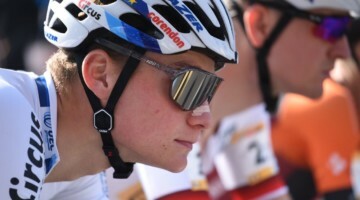 Laurens Sweeck finished the General Classification in second place, Diether Sweeck took third in Stage Three and Gianni Vermeersch finished third in Stages One and Two. Spencer Petrov is one of the young starts bringing excitement to the U.S. cyclocross scene. Petrov took fourth in the 2015 Namur Junior World Cup, won Junior 15-16 Nationals in Boulder and won the Junior Pan-American Championship in 2015. 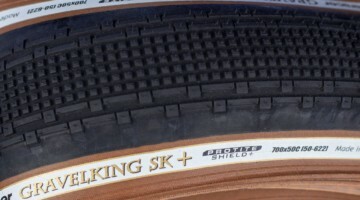 Allen Krughoff also recently announced that he will be partnering with Specialized for a solo project starting this cyclocross season. 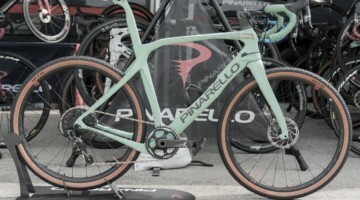 Krughoff said the partnership with Specialized will give him the opportunity to take advantage of Specialized’s off-road bikes and race a variety of events. 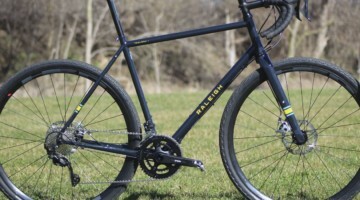 Said Krughoff, “It is really exciting to sign Specialized, who saw the value in that content as part of the partnership with me that will include a full cyclocross season, select gravel events, adventure rides and a handful of XC MTB events.” You can get more information about his new project at allen.bike. 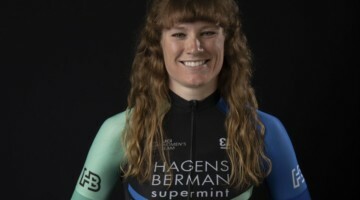 Finding a team and sponsors is a challenge for many cyclists, but it is still somewhat surprising Caroline Mani is facing a challenge finding support for her 2017/18 season. 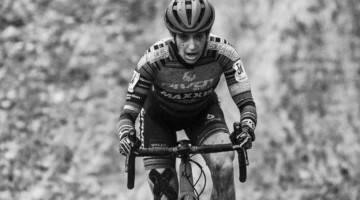 Mani finished second at the 2016 World Championships and took second at the Jingle Cross World Cup last September and still appears to be on peak racing form. 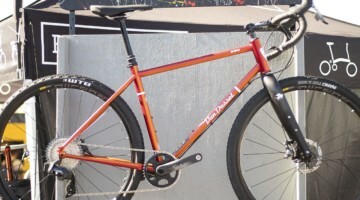 Mani is currently running a GoFundMe campaign to obtain support for her cyclocross season. Click on the link to hear more directly from Mani. Stay tuned to Cyclocross Magazine this #crossiscoming season for more about what the stars of cyclocross season are up to away from the mud and ruts. 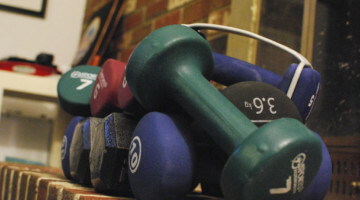 Have a lead on a topic or result that you think should be included? Drop a comment below.